Security in Shredding were the first company to introduce a mounted high security double shredded into Ireland. The machine design is unique to the industry hence the reason for its extremely high throughout put capacity. In comparison to many competitors Security in Shredding has a 100% untarnished secure onsite and offsite shredding service provisions history – how many companies can proudly say that? The provision of a professional, efficient shredding service to client’s is of utmost importance to Security in Shredding. Let the certified professionals securely destroy your data beyond reconstruction. Don’t take our competitors word as gospel when they state they comply to all relevant legislation. What Shred Number are your services certified to? Can you provide me with certification? Why take the risk of using an uncertified shredding service provider when you can utilise a certified professional secure data destruction service provider and have total peace of mind that your important documents are destroyed beyond reconstruction. Security in Shredding have the certification to back the service; certified to up to Shred No.6 of the EN 15713 shredding standard. Maintaining confidentiality is equally important if not more important to Security in Shredding as it is to its clients. 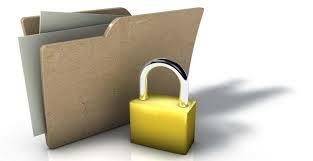 All staff are Security Screened and in house trained when it comes to the importance of confidentiality. It is our business to help you protect yours by providing secure confidential professional certified shredding service. This includes office staff to the teams shredding your confidential documents. Due to the high throughout put capacity, Security in Shredding are at your location for a minimal amount of time. The high security shredding unit has a shredding capacity of 3000 lbs per hour. Ask your current shredding service provider what the throughout put capacity is the next time you order a service delivery and compare them to us. Unlike many of its competitors, Security in Shredding are not confined to provide its professional shredding services to one county or province; thee are permitted to provide its shredding services nationwide, yes – nationwide across the island of Ireland. 100% customer satisfaction is of paramount importance. Security in Shredding have numerous testimonials from a variety of clients to include both private and public organisations, SME’s etc. Security in Shredding go above and beyond to ensure the client is satisfied with its service provision. If you are interested in using Security in Shredding for your service provider all you have to do is send an e-mail, website enquiry or simply pick up the phone and speak to a friendly member of our team. This entry was posted in Confidential Shredding, Data Destruction, Data Protection, Data Protection Day, Digital Data, Identity Theft, Off Site Shredding, Onsite Shredding, Paper Shredding, Product Destruction, Recycling by Security in Shredding. Bookmark the permalink.